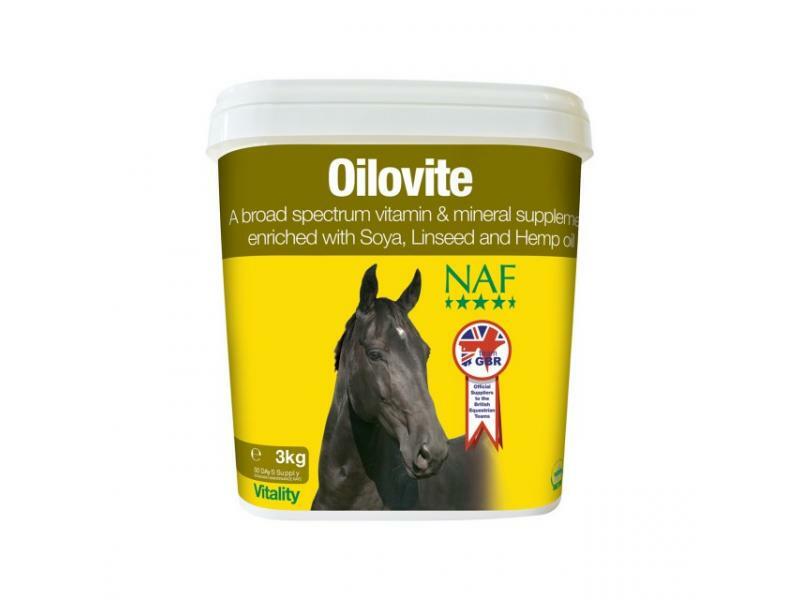 NAF Oilovite contains a wide range of high quality vitamins, minerals and trace elements which have been infused with Soya, Linseed and Hemp Oil to promote a horse's general health and glossy coat. Each tub contains vitamins A, B1, B2, B6, B12, D3, E & K for all-round outstanding nutrition. 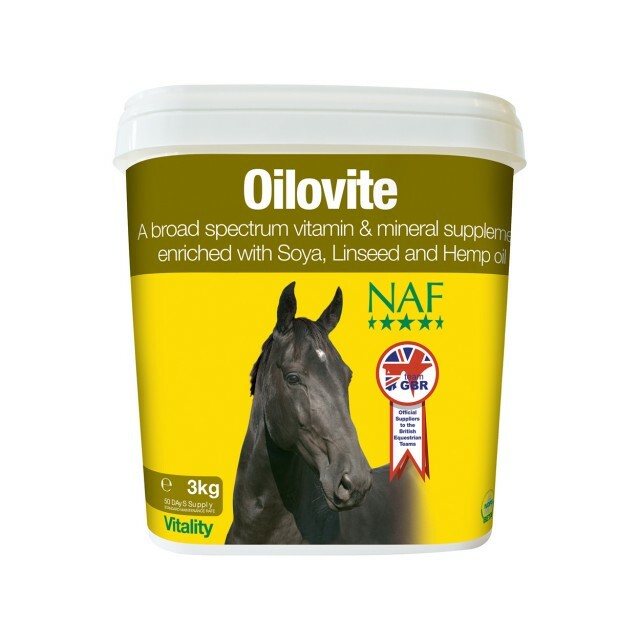 Feed Oilovite to balance the diet of horses and ponies on high fibre, low concentrate diets. One 50ml scoop provides approximately 30g Oilovite. Below are some recent questions we've received regarding NAF Oilovite for Horses, including answers from our team. Can a lactating mare take this?